With our recent health and fitness kick, we have been drinking a lot of protein smoothies, and thinking up new ways to enjoy our protein powders. Smoothie bowls are a great way to do this! 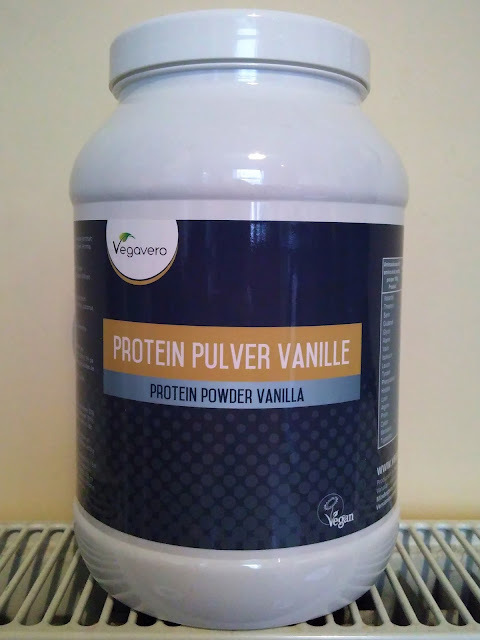 We have recently discovered Vegavero protein powder, which actually tastes great even just mixed with water. 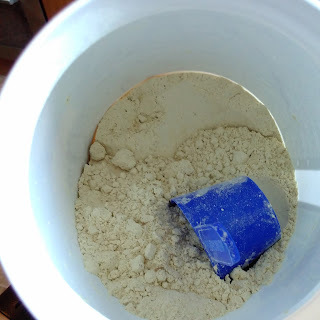 It's definitely a huge improvement on the previous unflavoured powder we were using! Vegavero comes in chocolate or vanilla, and I would recommend both. We currently have both in our kitchen and use them with a range of different add-ins! I don't think they're available in shops yet but you can find them on Amazon - just search for Vegavero. We need to order some more! 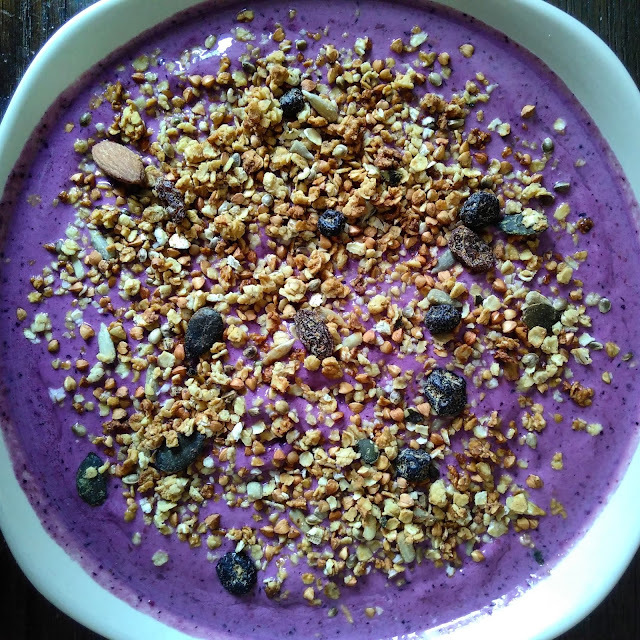 This purple smoothie bowl is super easy to throw together post-workout, and also satisfies any sweet cravings you may have. In fact, it is so simple I feel like I'm cheating calling it a recipe! In a blender or food processor, blend together the protein powder, water, and frozen berries until smooth. Pour into a bowl. Sprinkle with your favourite toppings - the smoothie bowl pictured is topped with homemade granola. Feel free to add more water if you want to turn this into a drinkable smoothie, rather than a spoonable smoothie bowl. You can swap the water for plant based milk if you want it to be creamier, but in my opinion it is fine with water!